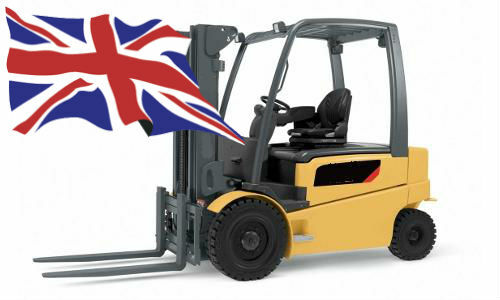 What are the Forklift Licence Categories in UK - Learn here - Be Certified Today! If you are looking for a new occupation or just wanting to advance your career as forklift driver, you might be wondering what forklift licence category in UK you can apply for. That would depend on the skill level and ability you already have and the type of truck you are intending to operate. Since, an employer would not let you drive forklift in the business premise, having in possession a forklift licence is utmost important. Your Forklift licence is a solid proof of your competence driving a certain type of truck. It is a written certificate from employer allowing holder of this document to actually operate industrial truck. The employer is fully responsible about you because under Regulation 9 of PUWER 98 states that employer must ensure the competence of the employees by provision of forklift training. The licence should indicate what truck the holder can actually operate, it should also indicate some restriction that may be deemed necessary. The date of training, the name of trainer, holder and training provider should be included in the licence/certificate. The licence should be renewed at least every three years. It is an excellent practice for employers to monitor regularly the work performance of their employees. Supply adequate training if necessary. The training must be customized to every individual driver’s needs. Employee who is transferring to another company cannot use his licence issued by his previous employer. However, he can use his certification as proof of experience and competency. New employer should provide training course, in which they may think essential, in subjects the employee is lacking. Industrial Counterbalance – Is the most common category of truck being utilized in many workplaces. Counterbalance truck could be gas or diesel powered, it could also be electric. Depending where you want to operate it in, would it be indoor and inside the warehouse or outdoor in yards or ports, counterbalance can do the job effectively and conveniently. Rider Operated Fork Truck – They are electric powered and primarily use indoor. The operator It is versatile in may uses, with the ability to be driven in narrow aisle, rider truck gets the job done. Side Loader - This truck is either electric powered or has internal combustion engine in it that runs on gas or diesel or even gas. The use of side loader is to simply handle long materials such as timbers and cylinder tubes in narrow aisle in which the counterbalance forklift may have difficulty handling. Narrow Aisle and Order Picker - electric narrow aisle single or double reach truck, electric order picker, and electric dock up stacker are the examples of this type of truck. They are commonly found indoor and operated on smooth floor surfaces. They primarily use in retrieving and picking pallets. With order picker, operator use to ride the platform to elevate himself to desire height, this is more efficient method of retrieval because you do not need to retrieve the needed materials along with the pallet. Rough Terrain Forklift – With its big tires, you will know that it is primarily utilized outdoors and as the name implies. It is used in muddy or uneven earth surface, hence its name. It is used to carry loads to places where typical pneumatic tire cannot. With its big tires, it can easily traverse rough surfaces, in waist deep water with ease. Telescopic Handler Truck – its looks is more like a crane that a forklift because of its protruding boom, hence its name telescopic. It is commonly found in agriculture and construction sites. Multidirectional Fork Truck – It is use to carry large and bulky materials such as lumbers, pipes, metals sheets, in open spaces. Transporting loads is more secured. It replaced counterbalance truck in terms of safety and reliability. It is used indoor in tight spaces where counterbalance cannot operate. Operator has maximum control over the load because of its state of the art controls. Container Handler Forklift – found in shipping ports, container handler use to move and remove container in ports, with hydraulic spreader and telescopic mast, it can easily get the job of moving container done. Determine your skills first before deciding what type of training you get. Novice Training – This training is given to those students who have no prior knowledge operating fork trucks. Since this is proposed for inexperienced individuals, the training duration is lengthier compare to other types of trainings. Students will be sitting inside the classroom longer and the practice skills demonstration will be thorough. This is to ensure students will grasp enough skills to become comfortable and relaxed driving forklift. The common course duration for this training category ranges from four to five days. Some factors come into play dictating how long it will be, like number of trainees attending the course and the standard the training provider follows. The usual price for this training category ranges from £500-£650. Some fees may or may not be included like learning materials and cost of printing of certificates/licences. The typical training cost for this category varies from £150 and £300. We strongly encourage operatives to advance their knowledge in driving different forklifts. It is their stepping stone to grab that elusive job promotion. It is their leverage to negotiate with prospective employer in getting higher wage. It is the effective way to step up the career ladder. You won’t regret completing a conversion course, it will be useful for you right now and in the future. Semi-Experienced Operator Training - If you’ve learned driving forklift at your backyard or somewhere else and you don’t have formal training, then this category is intended for you. It is aimed at providing sufficient knowledge for experienced individuals in areas of safety. This training category is also for people who have had their training years ago with their licences expiring or already expired. Students will expand their knowledge about currently implemented HSE regulations and optimal workplace safety practices. The students will regain their confidence operating the truck and refresh their aptitude in the safe use of the equipment. The usual training price of this category is between £250-£350. Training school may charge higher compare to another, this is because their semi experienced operator training is more comprehensive and in-depth and the ratio of student to trainer is lesser to ensure student skillfulness. Refresher Training Course – Have you had your training before but lost many of the knowledge and abilities you once had? This refresher course is the one you need to become up to date of the present HSE legislations, safety procedures and operational standard. In a company that has best regard to safety, refresher course is a typical course given to all workers operating heavy equipments, not only forklifts but also cranes, loader, dozers and other pieces of equipments that are being utilized in the work site. Refresher course should be given at least every three years, but the more frequent it is, the better the workers perform. It is ideal more ideal to have them gone through several refresher course during that span of time. Some instances that refresher course should be supplied is when operator was observed driving the truck in unsafe manner, workers were involved in an accident, and other instances that the employer may think necessary. Road Transport Industry Training Board (RTITB) – It is widely known accrediting body across the UK. In the year 2006, the initiated collecting information of trained forklift operators and put it centralized location, which is now known as National Operators Registration Scheme (NORS). This location helps employers check fraudulent certificate. You can visit RTITB website here. You can contact them at +44(0)1952 520200, they’re located at Halesfield 17, Telford, Shropshire. Independent Training Standards Scheme and Register (ITSSAR) – This training company started business in the early year of 1980s. They offer accreditation scheme the same as RTITB from basic operator training to safety trainer training. Their address is at 4 Milbanke Ct, Bracknell RG12 1RP, UK, Contact hem at +44 1344 426230. Visitwebsite. Construction Industry Training Board (CITB) – They offer various health and safety trainings and courses. They primarily cater service for construction companies to improve workers’ performance. They only provide small areas in forklift training, specifically limited to rough terrain forklifts. You can call them at 0344 994 4488. Their address is at Bircham Newton, Kings Lynn, Norfolk. Visit website. Lantra National Training Organisation Ltd. (LANTRA) – they cover very limited training, they only provide accrediting scheme for rough terrain forklifts. They located at Stoneleigh Park, Warwickshire, you can contact them at 024 7669 6996. Visit website here. National Plant Operators Registration Scheme (NPORS) – started business in the year 1992. Just like RTITB, this body is well know in UK. They provide wide range of training covering different types of trucks and providing service in construction, logistics, warehousing and agricultural industries. Their address is at Northwich, Cheshire, you can make an enquiry at 01606 49909. Visit website here. Finding out what skills you have and what kind of forklift you want to operate will determine what forklift licence you need. As mentioned above, there are several types of trucks and skills categories, refer to that so that you can make informed decision in forklift licence in UK.